If you try to open a PDF link in Chromium, you'll quickly discover that the browser downloads the source file instead of opening it in a built-in PDF viewer. This happens because Chromium lacks the closed-source PDF module found in Google Chrome. Fortunately, there is a simple fix to this problem. The PDF Viewer extension adds a PDF.js viewer to Chromium which allows you to view PDF files without leaving the convenience of your favorite browser. 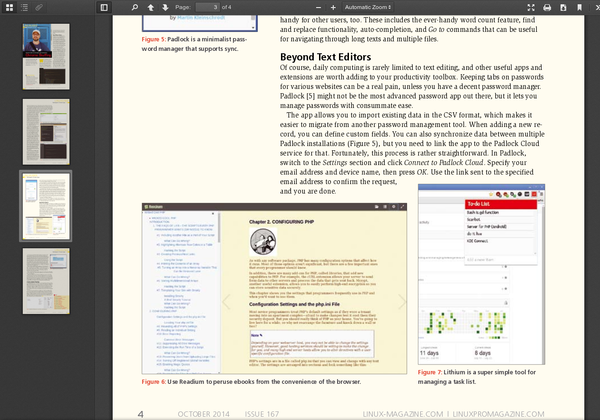 The extension is based on the PDF.js open source viewer supported by Mozilla. The viewer provides all basic functionality, including navigation actions, page zoom, text selection, search feature, etc.